Shaun Edwards says he has not yet decided his future as his old club Wigan continue to play the waiting game. The Wales defence coach was unveiled as the Super League champions' head coach from 2020 last August, with another former player, Adrian Lam, holding the fort until then following the departure of Shaun Wane. However, in the immediate aftermath of Wales' Six Nations Grand Slam triumph, Edwards, 52, revealed he had not signed a contract with Wigan and would effectively be unemployed at the end of the Rugby World Cup. On Monday, Edwards made it clear he still needs more time to come to a decision. "I've not made my mind up about anything yet, to be honest," he told Press Association Sport. "Obviously it's been a very busy time with the Six Nations. I haven't made my mind where I'm going yet." 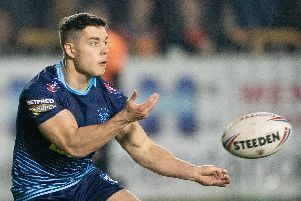 Despite claiming he would be out of work in the autumn, Edwards is not thought to be short of job offers, mostly in rugby union. He could yet stay with Wales under new head coach Wayne Pivac, while a switch to England cannot be ruled out and Edwards has also been linked with Gallagher Premiership clubs Wasps and Leicester. Edwards admits he has plenty to think about and says he is not working to a specific time frame. "There's moving your family obviously and kids being in school and stuff like that," he added. "So there's a lot of things to consider." Lenagan says he will not hold Edwards to his "oral agreement" if he opts to pursue another job.